← New Dragon Armor Tank Models! 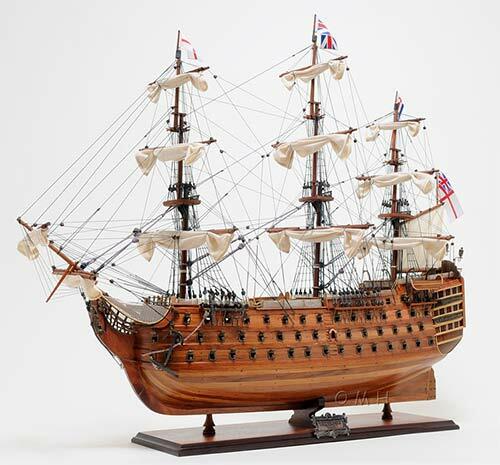 HMS Victory Exclusive Edition Tall Ship Model – FREE SHIPPING within Continental U.S.
HMS Victory Exclusive Edition Tall Ship Model. This amazing replica of the H.M.S. 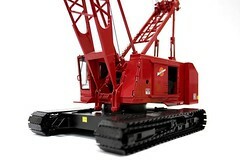 Victory model features plank on frame, three decks, and three ferocious rows of metal cannons on each side of the ship. The front bowsprit and three large masts are connected securely using advanced rigging and lines painstakingly knotted and fastened by hand. Each yard has an attached hand-stitched rolled-up sails made of fine linen. Metal anchors and a wooden rudder are visible on the front and rear of the ship. On the deck, there are authentic hand-built lifeboats with ribs and planks, stationed metal cannons, metal steering wheels, wooden crane, captain’s dining and sleeping cabin, and many other handcrafted ornaments. There is also an exquisite detailed admiral’s quarter on the stern with beautiful metal lanterns, handcrafted brass statues and ornaments, and a wooden flag pole. This entry was posted in Hobbies and Toys, Ship Models and tagged desktop models mahogany models, Hobbies and Toys, model ships, sailboat models, ship models. Bookmark the permalink.